Tracking Oliver Hill | Cover Story | Style Weekly - Richmond, VA local news, arts, and events. As we, the governed, wait for scraps from the two-years-in-the-making report from special prosecutor Robert Mueller on the extent of our chief executive's relationship with Russia, thousands of pages sit in an FBI vault that ask the same question of many Richmonders. In 2019, the question centers on all the president's men and their relationship to rigging his election. In 1960, the question was whether Oliver White Hill lurked outside Carver Elementary School, recruiting children into a "hate program." "The source reported that she has a nine year old girl attending Carver School in Richmond, Virginia, and that considerable pressure had been brought to bear upon her directly and also indirectly through her daughter by teachers and leaders of her race in Richmond insisting that she join," the report alleges. The pressure allegedly came from then-already legendary civil rights lawyer and former city councilman, Hill, who was said to stand outside the doors on Monday mornings. "The source said the general tenor of Hill's talks to the students 'is a hate program directed toward the white race and a fanatical adherence to the aims of the NAACP.'" And further: "The source also reported that there was a widespread rumor among the people of her race in Richmond to the effect that Oliver W. Hill and other members of the NAACP were requiring individuals to sign over their homes and other property in their wills to the NAACP." This is one of many vignettes offered by J. Edgar Hoover's Federal Bureau of Investigation that provides more insight into our government's perception of the Civil Rights Movement, and its leaders, than of Hill, a Presidential Medal of Freedom winner who died in 2007. A look through his collected FBI file offers a fascinating peek inside the minds of some of Virginia's most notable racist politicians — 60 years before the future president faced the same kind of scrutiny. The 134-page file is mostly composed of loose reports assembled for a background investigation ordered in 1960, most likely kicked off by his nomination to a role in the Federal Housing Administration by President-elect John F. Kennedy. FBI files are available to any subject not currently under investigation, and anyone can obtain anyone else's file as long as the subject is dead. Hill had the chance to review his own file and Oliver White Hill Foundation President Ramona Taylor also received it from the bureau. "I had certain expectations of what would be in the file, and some of those things weren't there," Taylor says. "It shocked me." 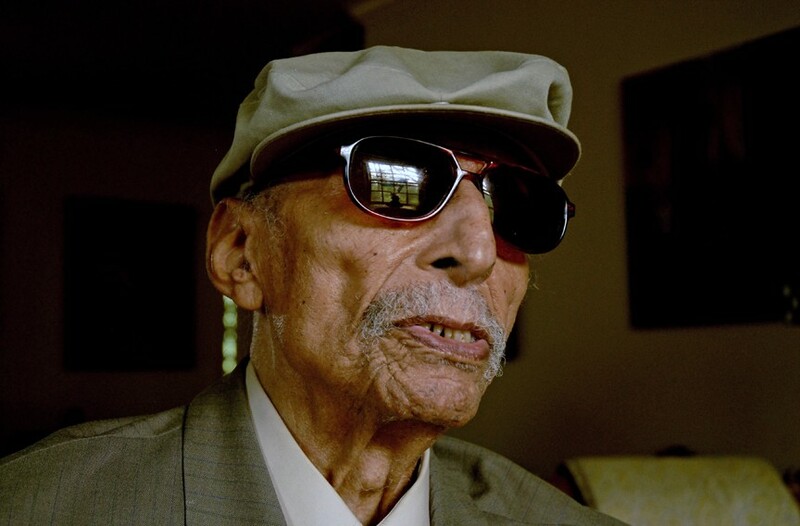 Legendary Richmond civil rights attorney Oliver Hill is pictured here in 2007, the year he died at 100. Hill was awarded the Presidential Medal of Freedom by Bill Clinton for his work in ending segregation. Born in 1907 and raised in Richmond and Roanoke, Hill studied law at Howard University. Taylor notes that while working as a waiter at the U.S. Capitol he heard Franklin Delano Roosevelt's inaugural speech from its steps. It spurred action. "Think about this man who's kind of like, under the radar, then gets inspired and comes back to Richmond as a firebrand," Taylor says. Hill helped create offices of the National Association for the Advancement of Colored People across Virginia and worked to end segregation in the state through legal actions in the next 10 years. We didn't need to open Hill's file to know at least some of the FBI's interaction with him. "He's building the practice, and building his representation, and the machine that is the NAACP Defense Fund," Taylor says. "How do you stop the movement, or one of the most vocal voices? You draft him." "I remember getting into an argument with the FBI agent," he writes. "He asked me some doggone question. I cannot recall how I worded my response, but I think it was summarized by the fact that I did not favor the English on one island trying to rule the world or the Japanese on another island on the other side of the world attempting to do the same thing. To the agent's disgust, I lumped them together." "Despite the rampant racism," he adds, "I was not trying to dodge military service." Hill served in the Army from 1943 through VE day and in the Pacific, emerging as a sergeant. Pushing back against racist policies and behavior furthered his resolve when he returned. None of this, including notes from that FBI interview, appears in his file. Instead, the question the FBI circles around during the 1960 background check is whether Hill skipped town from Roanoke to Washington with a client's money. Being a "loyal American citizen" and a black person engaged in the Civil Rights Movement were often contradictory within Hoover's FBI. The remainder of Hill's file is dominated by inquiries into Hill's NAACP and Communist Party ties. The credit check showed nothing. There were no arrest records. Hill's Howard-era landlord said he once dropped a refrigerator while trying to move it up to his apartment, but was otherwise a good tenant. The dirt came from informants. An FBI informant known as RH T-2 kept coming across his name during his or her occasional fact-finding missions that included rifling through the homes of Richmond Communist Party members, attending rallies, and other spying. RH T-2 offered several instances where Hill encountered Communist Party members, and he would sometimes accept their help on an individual basis, including when he ran for City Council. "My father had a lot of friends in the Communist Party," adds his son, Virginia State University psychology professor Oliver Hill Jr. "He made a conscious effort to stay away from it, because he knew that would be used against him." Hill's NAACP activity received similar scrutiny — although the FBI appeared to allow more paranoia to seep in. "Hoover's attitude toward the NAACP shifts over time," says William J. Maxwell, a professor at Washington University in St. Louis and author of "F.B. 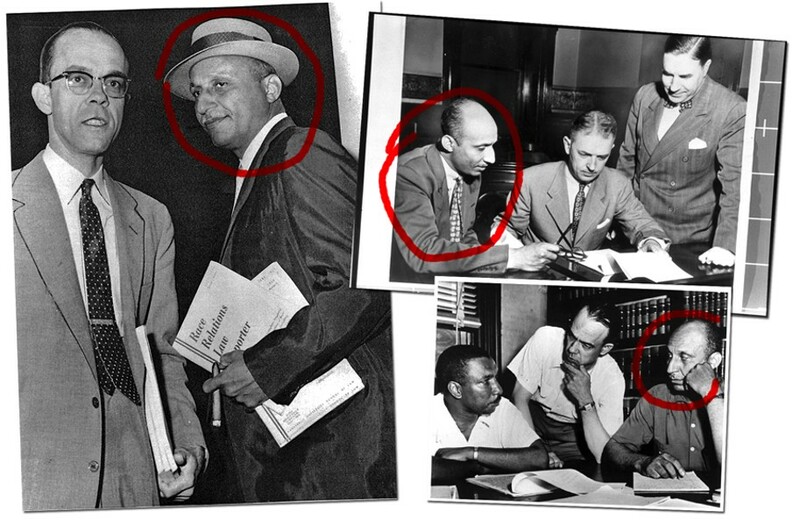 Eyes: How J. Edgar Hoover's Ghostreaders Framed African American Literature." "Sometimes they viewed it as a more reasonable alternative to the Communist Party, depending on who was running it. But there was a fair bit of continuity between left groups." Virginia officials steered agents to Hill's NAACP leadership. Hill famously appeared before the General Assembly in 1956 to defend his participation with the group in the face of trumped-up charges of barratry, the frivolous filing of lawsuits. The charge put his law license at risk. He shook his finger, and said: "We will defeat you." This is where the agents started chasing information meant to incite panic. The mother of the 9-year-old worried Hill's NAACP would corrupt an entire generation of black youth by their joining a "hate program," collecting their property following their death. Perhaps most important in the bureau's background check is that no direct criticism of Hoover, famous for his grudges turning into FBI harassment, appears in the file. "[Hoover] wasn't totally unlike Trump in that if you were criticizing him, regardless of your politics, you were dangerous," Maxwell says. Beyond the FBI's standard fears of the NAACP and the Communist Party, Hill's file includes interviews with several public officials and lawyers. These interviews take the FBI's NAACP fears and put them in the Virginia-based context that enraged Hill's white peers. After one of his school desegregation cases was rolled into Brown v. Board of Education, various Richmond lawyers and officials put a target on his back. Another attorney, whose name was redacted, told agents he had known Hill for 16 years and that "although he is of a race other than that of the appointee their association has been of an intimate nature. … He stated in regard to the appointees legal ability, he described him as a competent constitutional lawyer. He stated further that the appointee has represented the NAACP in the school integration matter, and politically speaking, he and the appointee are 'miles apart.'" Virginia Rep. J. Vaughan Gary, a Democrat, said Hill "would function well in a position of trust in the North or East, but would not have the necessary cooperation in the South to do a creditable job." He added that as a city councilman, Hill handled the office "without prejudice." Gary also noted that Hill was "sincere" in helping end segregation but "the people in this area feel that he has not handled the situation with tact and diplomacy." The common thread: Great lawyer, get him out of Richmond, please. 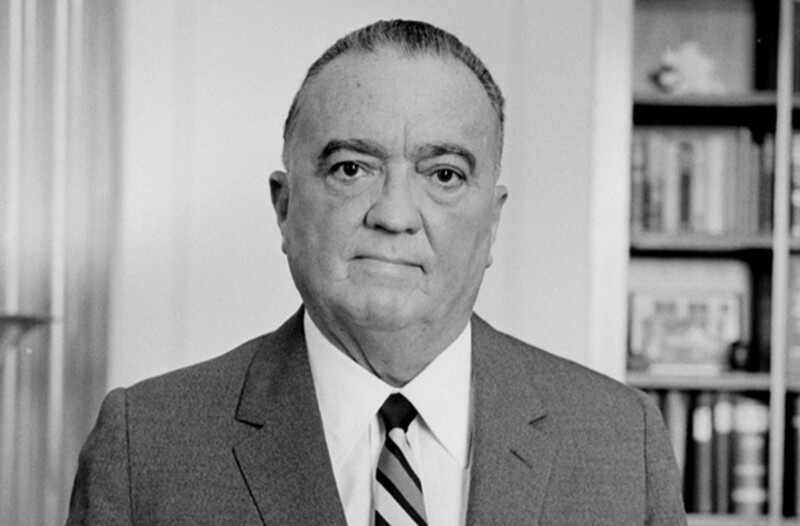 J. Edgar Hoover, the first director of the Federal Bureau of Investigation, was famous for turning his personal grudges into FBI harassment. Ultimately, Hill served in the Federal Housing Administration, but writes, "after I had worked in the administration for a period of time I became less satisfied with the circumstances there because the administration was moving too slowly to suit me." Instead of pushing to desegregate housing, Hill wrote that Kennedy's brother, Bobby, was too worried about the re-election campaign to push the issue. Hill left and returned to his law firm. He later turned down a judgeship overture from Gov. Linwood Holton. Overall, Maxwell points out that since Hill hadn't criticized the FBI's director publicly, he avoided the bureau's full treatment. "When (Martin Luther) King started criticizing him — this happened to James Baldwin as well — that's when the wiretaps began." 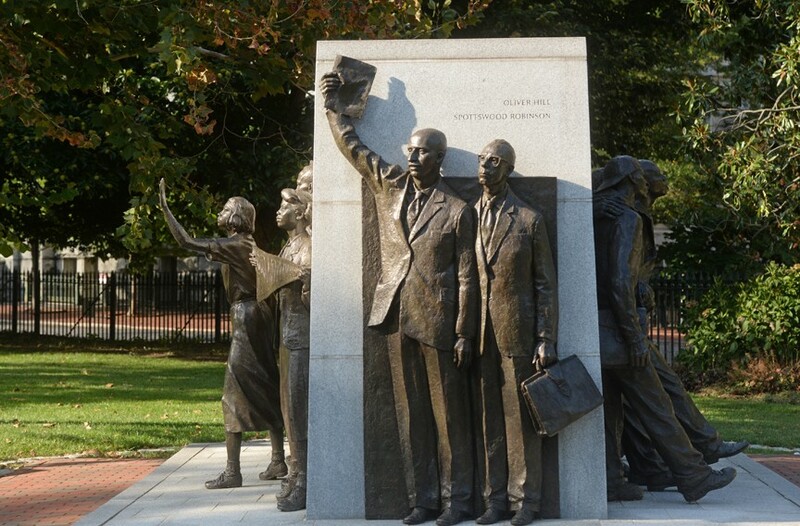 The Virginia Civil Rights Memorial, featuring lawyers Oliver Hill and Spottswood Robinson, opened in 2008 on the grounds of the Virginia State Capitol. Years later, Hill requested his FBI records, and was given the file assembled around the time of his Federal Housing Authority appointment. "He tended to have a sense of humor about these things," his son says. "He was just kind of interested to see what they had on him." He remembers being struck by the fact that enemies who had attempted to stifle not only his father, had only sort-of-kind words when presented with the opportunity to frame him as a Red. "Everybody they interviewed, in essence, was speaking for him," he adds. "That spoke to the esteem they held him in — even if it was begrudged esteem." Hill sees the paranoia reflected today "similar to the reactions of people like Colin Kaepernick," he says. "Somehow, protest or criticism is seen as anti-American." "It's spiraling upward a little bit," he says. "You take three steps forward and one back. But as long as you take more steps forward, you're getting somewhere." Taylor says that the Oliver White Hill Foundation is ramping up activity as Hill's legacy is remembered in the Trump era. The Roanoke City Courthouse took his name in January. But his name has also ended up sending garbled messages — Oliver Hill Way is across from the city jail, "and it must be the shortest street in Richmond." Some of the locational messages work out in favor of history. On the Richmond Capitol grounds, Hill's statute is steps from the building where segregationists plotted against him. "His name is on buildings and he has statues," Taylor says. "But it's up to us to fill in the blanks." Digging through his FBI file is one way to shed light on just how influential, and disruptive to white supremacy, Hill remained throughout his life. His namesake son says now is an especially good time to look, as a new generation resists. "Trump is going to cause a big swing in the progressive direction, or at least that's my hope," he says. "How many people have become activists all of a sudden, who had never done anything before?" The full Oliver Hill file is available on MuckRock, a nonprofit website that provides tools to keep government transparent.